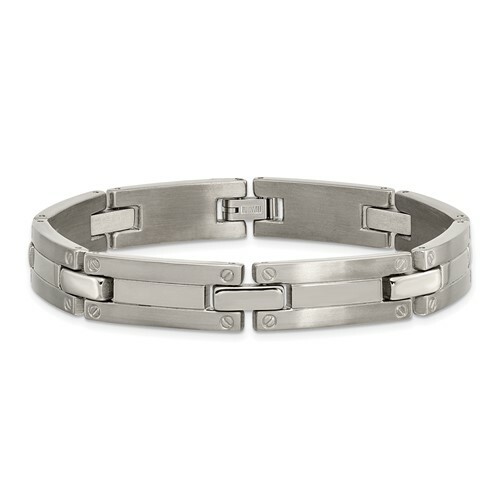 Titanium brushed and polished bracelet has screw accents. Length: 8 1/2in. Width: 8mm. Fold over clasp. Made of commercially pure [CP] titanium in China.